St Cuimín is an Irish saint most closely associated with the parish of Kilcummin, in the barony of Tirawley, County Mayo. He was a monastic founder and defender of the Roman liturgical customs. Born c. 591 his background is touched upon in a genealogical text compiled by Dubhaltach Mac Fhir Bhisigh (died 1671). It names the saint Cumain Foda and identifies him as a descendent of Conaing, son of Fergus, son of Amailgaid, thereby linking him with the leading dynasty in the area the Uí Amolngada of North Mayo. Although strongly associated with Mayo, Saint Cummin also is the namesake of the Kilcummin parish in Galway and is connected to Oughterard especially. Overlooking Lough Corrib to the north-east in the townland of Lemonfield and in the modern-day graveyard are the remains of a medieval church called Kilcummin Church. This is possibly the site of an earlier Christian monastery founded by or at least named after St. Cummin. A holy well, known as Killcummin well, also exists nearby. St Cummin is buried in the townland of Ballinlena on the northern coast of Mayo in another parish called Kilcummin. 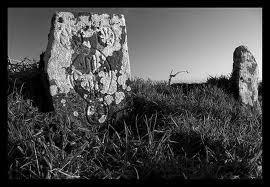 His grave and headstone (which can be seen in the photo attached) are located just north of a church in his name dated from the 8th Century. This page was added on 18/08/2012.